Offering maximum leaf-crunching satisfaction on crispy days, these military-style boots are as sturdy as they are stylish. 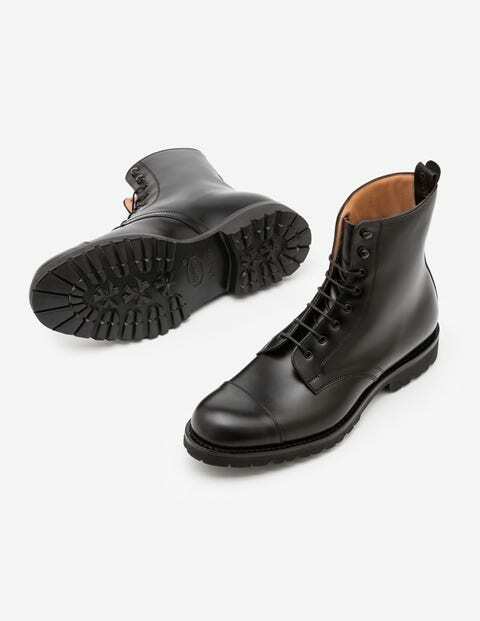 Hand-constructed in England and crafted from no-nonsense black calf leather, they’re made extra tough with chunky Goodyear rubber soles, and will last you a lifetime of walks. Lace the eight eyelets with rolled-up dark denim and chunky knits for a how-to in cool, winter dressing.